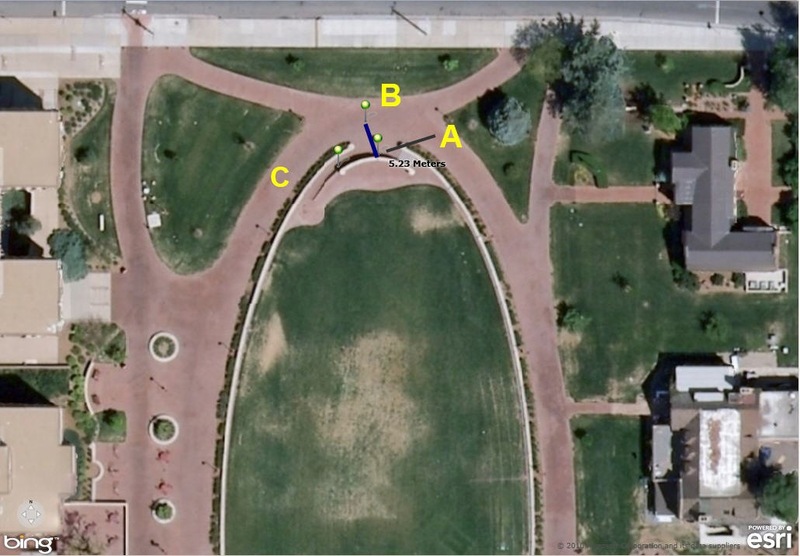 Recently, I wrote about my comparison of the horizontal position obtained from a consumer-grade GPS receiver versus that obtained on a SmartPhone. Specifically, I compared a Garmin GPS 76 to an iPhone 4. 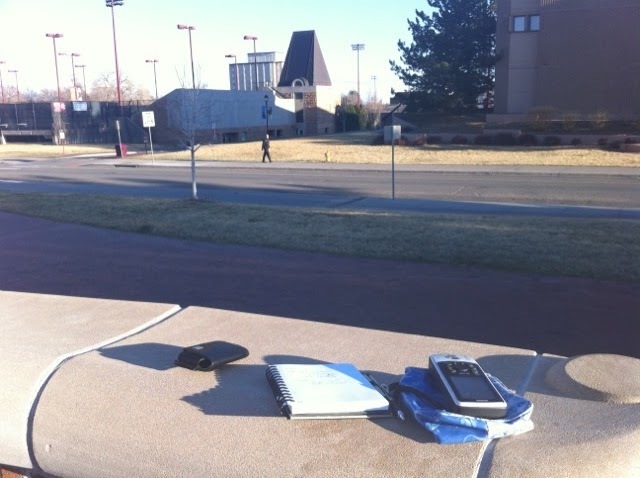 The position recorded on my iPhone was consistently tens-of-meters off from the position recorded with my GPS receiver. Thus far, it appeared that my position as recorded by my GPS receiver is far more accurate than that from my iPhone. However, this was not the end of the story. In the field, I switched to the map view on my phone, and the blue dot marking my current position was not hundreds of meters away, but just a few meters from where I was standing. I took a photograph here and emailed it to my PicasaWeb account using the procedures I wrote about in a previous blog column. This photograph was geotagged at 39.680000 north latitude, 104.962667 west longitude, which turned out to be only 6.21 meters away (this time to the southwest) from my position as recorded by the GPS receiver. Interesting! This means that the SmartPhone was indeed recording an accurate position, but perhaps the app used to capture that position may have compromised that position. The map I created from ArcGIS Explorer Online below shows my hyperlinked photograph very near to the position where I conducted the experiment, and several blocks to the northwest is the position recorded by the default compass utility in my phone. Zooming in, Pushpin A at the end of the green line points to where I stood at the brick wall on campus. Pushpin B, 5.23 meters north-northwest, is the position recorded with my GPS receiver, and Pushpin C, 6.21 meters to the west-southwest, is the geotagged position recorded in the photograph I took at that spot. Your results will vary with the tools, including the types of WebGIS, GPS, and SmartPhone used. For example, a higher-end GPS such as a Trimble or TopCon will surely provide better horizontal accuracy. Also, would my iPhone position have been any better if I had used a GPS app instead of the default compass tool in my phone? All of these technologies will continue to undergo rapid change, providing ample opportunity for further experiments. These types of experiments connect mathematics, GIScience (including discussion on datums, coordinate systems, and data quality), and geography. How might you turn these activities into teachable moments and activities? Recently I wrote about techniques to use photographs taken on a SmartPhone as hyperlinks to locations where you have collected field data using ArcGIS Online as your mapping platform. These photographs are geotagged with a latitude-longitude coordinate recorded at the time and location that the photograph is taken. But how accurate are those coordinates, and how do they compare to the accuracy of locations recorded by a GPS receiver? In other words, do I really need my GPS receiver any longer, since modern SmartPhones can capture positions using an embedded GPS chip and even supplement the GPS position by triangulating off cell phone towers? 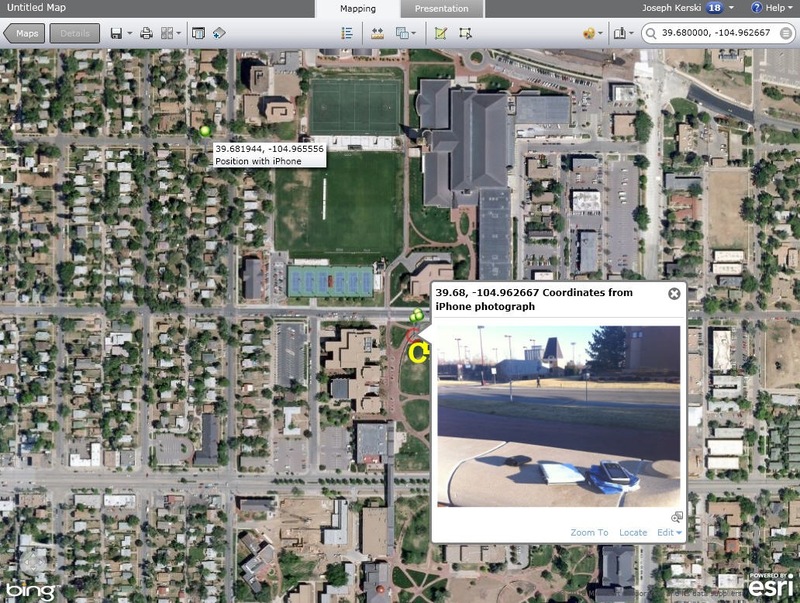 To find out, I recently conducted an experiment at a location I knew would be easily identifiable on a satellite image at the University of Denver. I compared the latitude and longitude positions gathered from a Garmin GPS 76 to those from an iPhone 4. My GPS dates from 2004 while my iPhone dates from 2010. The iPhone 3G, iPhone 3GS, and iPhone 4 models use A-GPS -- or "Assisted GPS" -- which in basic terms accesses an intermediary server when it is not possible to connect directly via satellite -- indoors, for example -- and this server provides the nearest satellite with additional information to make it possible to more accurately determine a users position. Also, the iPhone 3G, iPhone 3GS, and iPhone 4 also use "wi-fi hotspots and cellular towers to get the most accurate location fast" when GPS is not the most convenient method of location detection. At the time of the experiment, my Garmin GPS 76 was reading 9 satellites and gave a horizontal accuracy of 4.38 meters (14.4 feet), with a latitude of 39.68006 degrees north and a longitude of 104.96262 degrees west. My iPhone gave me a position of 39.681944 degrees north and 104.965556 degrees west. The iPhone coordinates were more precise than those from my GPS receiver—they included more significant digits (6) to the right of the decimal point than the GPS included (5). But were the iPhone coordinates more accurate than that from the Garmin GPS receiver? I mapped these two coordinates using ArcGIS Explorer Online with an imagery basemap. Using the measure tool, I determined that the GPS location was 5.23 meters away from my “true” position based on the satellite image. This assumes that the satellite image is “correct”, but remember that imagery is not perfect either, and what is considered “correct” is a subject worthy of further discussion in a different blog column. The position recorded on my iPhone was 333 meters away from my position as identified on a satellite image. Multiple experiments and then a summary of the results would be proper. 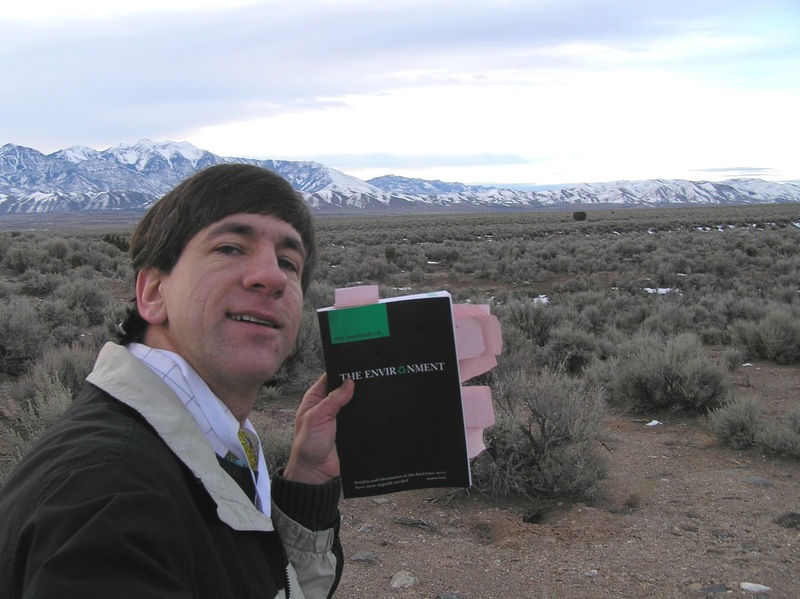 At the time of this writing, I only had time to conduct one other experiment, 200 kilometers away, at Northeast Junior College in Sterling, Colorado, where I was teaching GIS and GPS. At that location, my iPhone coordinates were 40 meters off and my Garmin GPS coordinates were 5 meters off from my position as identified on a satellite image base map. Therefore, given these two experiments, I would conclude at this point that yes, my position as recorded by my GPS receiver is far more accurate than the position as recorded on my iPhone. However, this was not the end of the story, as I will explain in my next blog entry.